In 2-quart pitcher, mix all ingredients except raspberries. Stir in raspberries. Serve tea over ice in glasses. 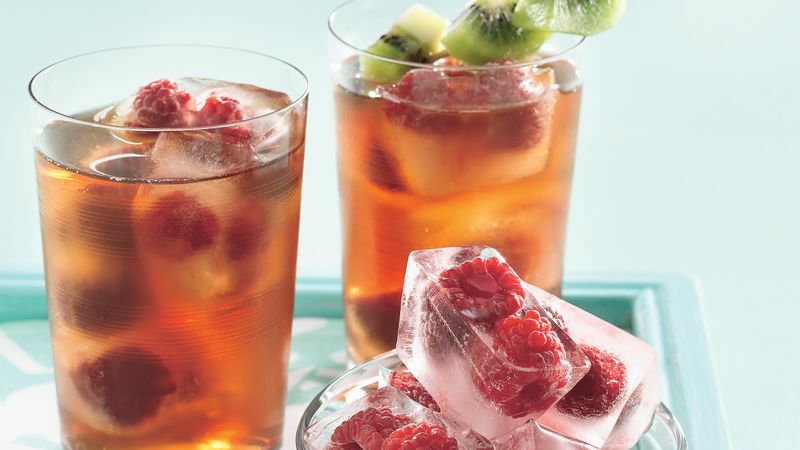 For a special touch, freeze fresh raspberries in ice cubes and use them in glasses for this tea. Garnish with a small skewer of fresh kiwifruit pieces.